A holiday away supplies a rare opportunity for quality family time at meal times, with them not having to be squeezed in around housework, netball practice and music lessons, and getting everyone involved with preparations can be an added activity in the day! I think holiday cooking needs to be quick, easy, delicious and healthy! When my family goes Campervanning we have to be conscious of space, having only 2 hobs and a microwave to cook with and quick meals are a must, not through laziness, but because we have to make sure the gas does not run out! I think some great base foods to have could be; cous cous, which can be cooked in a bowl with boiling water and works great with any veg, and Gnocchi,little dumplings which take about 3 minutes to cook, boiled or fried! Of course, a handy stir fry always goes down well; tasting great, containing loads of vegetables, and only using one pan to cook in! I often make a few great meals at home before going away, and store in the fridge, but also love shopping to experience local food and culture wherever I am staying. If you are on holiday in the UK countryside this Easter you may have the time to pick some really great, fresh local ingredients. You can get fantastic food from British farms without having to step foot in a Supermarket with so many great farm shops, markets, butchers, bakers, and even home run egg stalls for you to discover on a Staycation! From my travels, some of my favourite places to buy great produce include Walsingham Farm Shop in Norfolk and Pipers Farm Butchers in Cullompton, Devon. 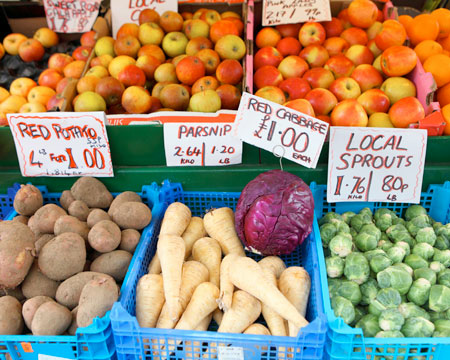 To cut down costs, try to buy ‘in season’ fruit and veg. 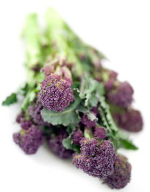 Some of my seasonal favourites include; purple sprouting broccoli, asparagus, rhubarb, spinach, and cauliflower! British organic food suppliers, Abel and Cole, suggest brilliant, in season recipes such as Hearty lemon chicken soup with purple sprouting broccoli, and Spinach and Walnut Pasta with capers and sun dried tomatoes! My tip to you would be to go out and enjoy shopping for local produce, wherever you are staying, and even ask the locals for some recipes! Get everyone helping out with the shopping and make sure to pick something new to try! It would be great to hear some of your food stories and recipes after Easter! Make your holiday how you want it – that is what’s great about having a campervan- you can tailor make it to what you want! Our holidays mostly revolve around our campervan these days – flexible, fun, and family all at once! That’s why we founded Sussex Campers a few years back. Why not come and see us, or visit our website, and see just how affordable and excellent owning your very own campervan can be? Lots of our customers have even replaced their car with a camper!